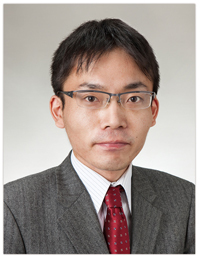 Kei Kaneko has over 7 years of auditing and advisory experiences specialized in fund business. He qualified as a Japanese Certificated Public Accountant. Kei is a partner and founder of Yuwa Accounting Office. He manages audit and business advisory services, focusing on structured finance and various fund business. Prior to Yuwa, Kei worked at KPMG AZSA & Co, a major auditing company, for around 3 years. During this time, he was engaged in audit division of the Financial Instruments. He provided audit services based on Exchange Act and Corporation law. He had responsibility for evaluating investment portfolios and procedures of several listed Asset Management Companies which specialized in real estate. Before the above, Kei worked at Rakuten Asset Management Co., Ltd, the investment arm of Rakuten Group. He was responsible for structuring, financing and disposition from 2005 to 2008. He also worked for Consulting and Administration Department at Kasumigaseki International Accounting Office from 2003 to 2005.